An ultra-thin carbon fibre woven into the polyester fabric creates a supple lightness which gives the flexibility of a linen sheet whilst warming the bed entirely. You can now rest easy knowing that the low operating voltage and unique flame retardant material combine to make both safety and a peaceful night’s sleep the number one priority. 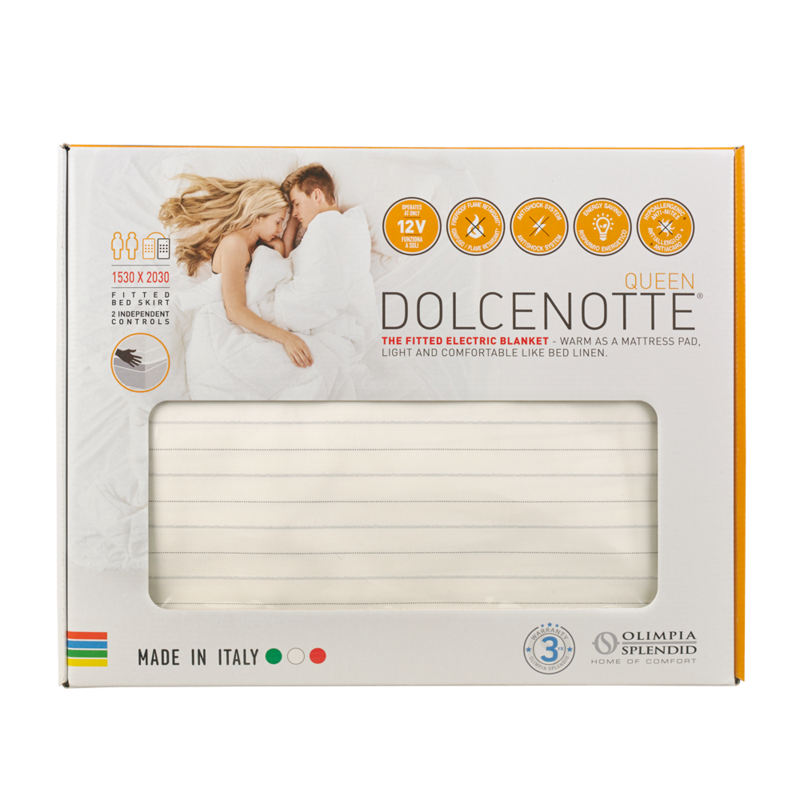 Dolcenotte® is the electric heating matress cover in CARBONTEXTURE, the innovative and very soft fabric that warms up the bed surface uniformly and in total safety. Reduced energy consumption up to 50%. Available in Single, King Single, Double, Queen & King. Operation at low voltage, only 12V. Total safety thanks to the transformation system of the low voltage current. The electronic transformer is made in accordance with the strictest safety standards to ensure the highest isolation of the main electricity supply net. Safe even in the event of accidental contact with liquids. Only 55W of absorption, for the single bed and only 70W for the single bed and a half. the safety requirements of a product and of the materials it is made of. With 3 power levels and programmable timer for 1, 2 or 9 hours of operation. It can be hand washed and ironed.